“Love yourself first” means choosing and loving myself first in the areas that matter most. That goes for areas of my life financially, and also time/energy, love, and commitments. For example, I used to be the woman that would spend her last dollar on a friend or significant other, but then that would mean I wouldn’t be able to eat well that week because I gave away the disposable money I did have. That’s not self-love or loving myself first in the areas that matter most. You can’t just give, give, give and think that the universe is going to take care of you because of your benevolence. That’s not law of attraction and it’s certainly not healthy for your well-being. You’re no good to anyone if you don’t make loving who you are your highest priority. It’s when you do, that the world starts taking you more seriously. It respects you. You start getting back what you’re giving. I think that’s amazing self-love and care. Sadly, too many women, especially women of color subject themselves to martyrdom and abandon loving themselves first. As a result, I think its really killing us softly. We end up carrying around emotional wounds because we feel unloved, unappreciated, and overlooked in spite of all the giving to others. I know that as a health coach I really work to bring home how important it is to love yourself first when I work with women. You can’t begin to live your best life if you are abandoning yourself and not making self-love your primary concern. Self-love is self-preservation. Without a doubt my number one self-care practice is cooking and eating healthy soul food. The actual act of cooking awakens my creativity, and having daily balanced nutrition of course leads to a healthier me on all levels. Right behind cooking and eating healthy is running. I’ve been a long-distance runner for 23 years now and it is absolutely my meditation. I solve all of my toughest challenges and problems while I am running. I also journal like crazy. Writing is another form of meditation for me. I was a freelance writer for a long time and it’s something that I truly love to do (accept the sitting down for long periods of time, because I LOVE being on my feet). And last but not least, I do practice yoga. I love Bikram hot yoga, mainly because it helps me with mindfulness and increases my mental strength. For me, they all lead to having a better understanding of and foundation for self-love and self-care. There are actually two obstacles that I’ve overcome that have helped me have a deeper love for who I am. First, I endured two unhealthy relationships that ended in betrayal which I believed were going to lead to “happily ever after” at the time, over the past two years. Second, I lost my Mom a few years ago to a rare disease. She never really took the time to put herself first. She was a martyr and as much as that’s often deemed heroic, that can’t be all that you are when it comes to navigating through life. Those two incidents the past three years have culminated in realizing that you have to always be yourself. In the moments when you’re not, and you don’t show up, so to speak, are the times when people enter your life that are not going to respect and love you. Being yourself, versus the version of who you think they will fall in love with, is the most selfless thing you can do. When you deny yourself slow-down moments, alone-time days, solo vacations, and also neglect exploring your passions, all because you think you have to take care of everyone else, you will truly consume your spirit adversely. That’s a toxic way to live. I am a firm believer that our emotions are also tied to our physical health. By trying to live holistically, knowing that body, mind, and spirit are one, I am finally swimming in an ocean of self-love. I have learned that self-love also consists of self-forgiveness, self-respect, and self-compassion. They all work in concert with the other. For a long time, I thought I was practicing self-love, but I was neglecting the respect, compassion, and forgiveness. You have to achieve a balance of them all to really receive the fruits from the labor of self-love. The best thing I did, last year after encountering heartache too many times, feeling stuck, and sabotaging my dreams, was get a life coach. Well, we actually traded services, I am getting her healthier as a health coach, and she’s getting me stronger spiritually and mentally. I think taking steps like that are also acts of self-love “in action” and totally worth the investment of your time, money, and energy. 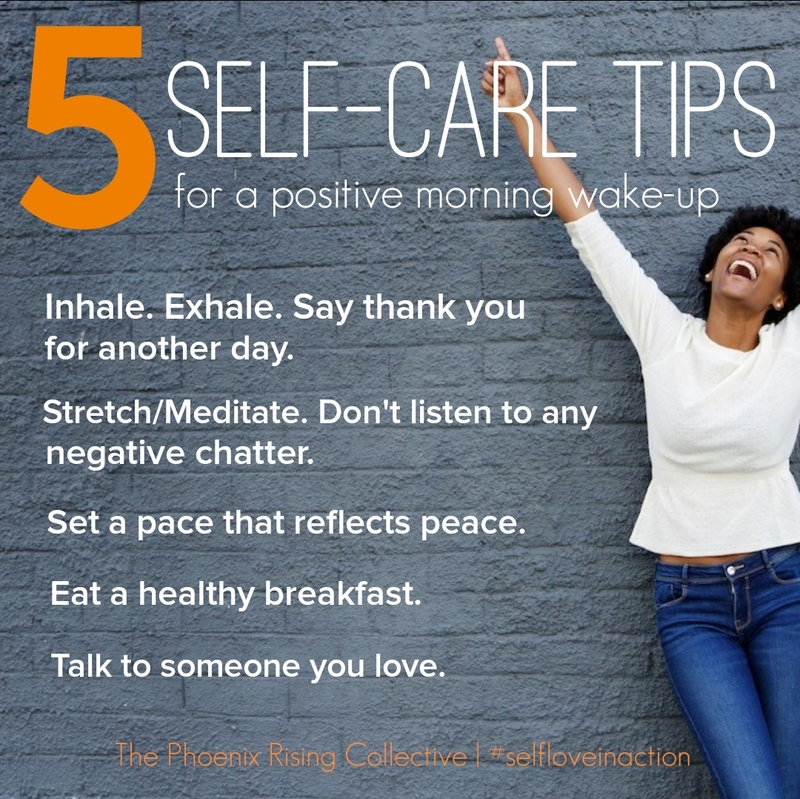 Cholia is the creator of Kick Start Your Health Today and also the health + wellness contributor for The Phoenix Rising Collective. Categories: Love Yourself First! 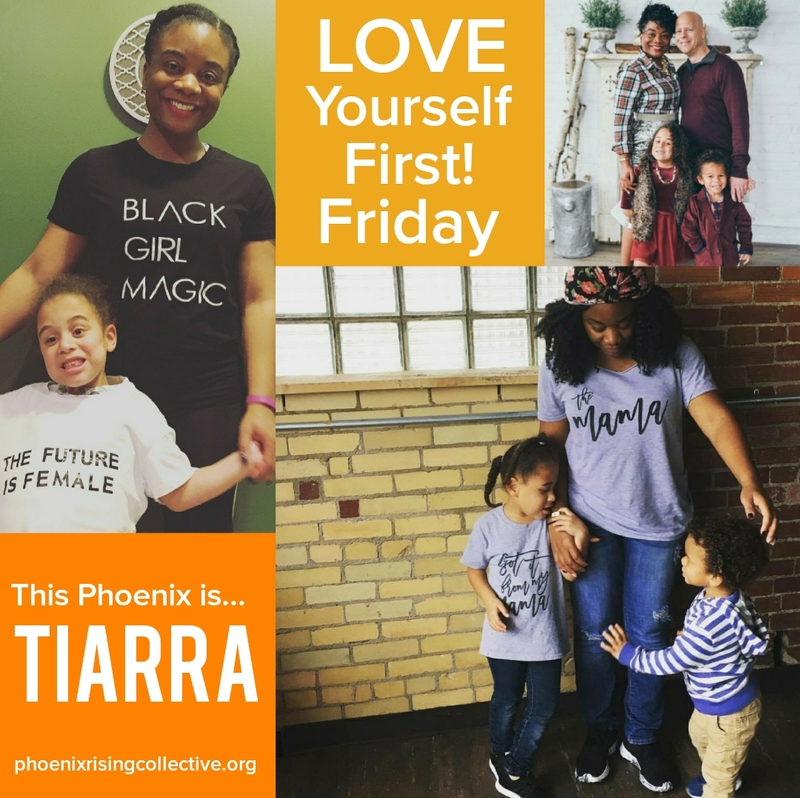 Friday | Tags: authentic self, healthy self-esteem, holistic health, Love Yourself First! 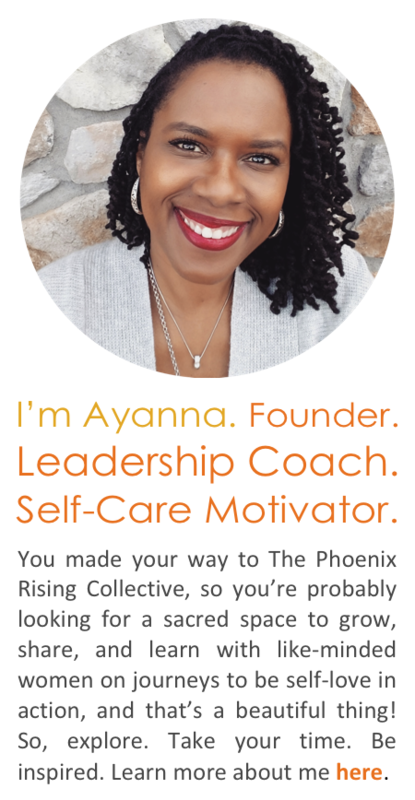 Friday, personal growth, self-care, self-love, the phoenix rising collective, wellness, women | Permalink.